Even pallet shipping, with its solid reputation for safe, reliable delivery, can experience mishaps from time to time. If you’re shipping overseas for instance, European regulations might require the driver to unload the truck, or transfer goods to a different vehicle, and if your items are not properly secured they can get damaged. 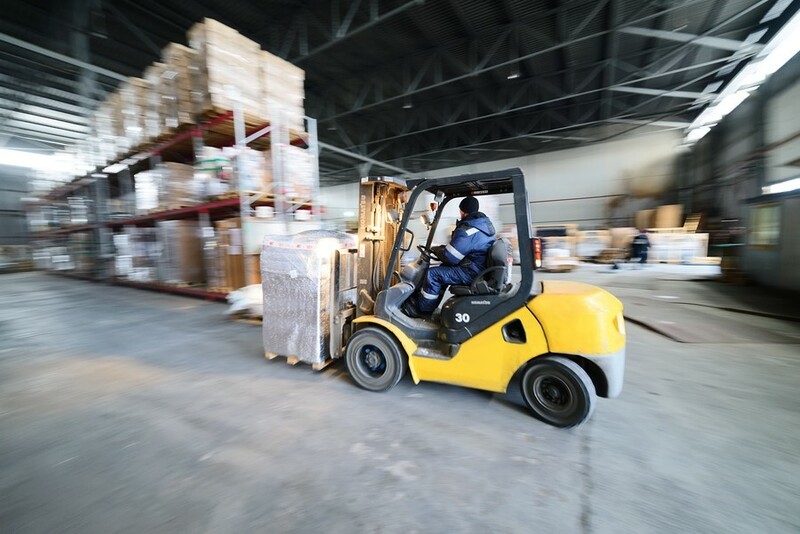 There are two ways you can secure items to your pallet – with industrial-strength shrink wrap or ratchet straps – so here’s a brief look at which might better suit your needs. You might groan at the thought of applying this annoying plastic film to another area of life, but you will find the industrial strength stuff to be a lot less cumbersome than the kind you wrap your sandwiches in. Any items that fall under a common dimension, or can be packed in boxes, will benefit from being wrapped in shrink film. In the same way that household shrink wrap keeps food fresh, the industrial equivalent works great for shipping produce. If you’re going to ship large, bulky, cumbersome items like car parts or engine spares, you’ll need a tough, stretchy materiel that can prevent 1000kg from slipping and sliding. The great thing about ratchet straps is the flexibility they provide you in order to tie down oddly shaped items. Ratchet straps are very tough, so even if you’re sending a classic Harley Davidson up to Scotland, the material won’t tear under pressure. If you order a pallet from us, you’ll have ten minutes to secure your items. Make sure you’ve packed all goods in advance in order to avoid any unnecessary stress. Go to your local home improvement store (Homebase or B&Q) and you’ll find all the materials your need to securely fasten your goods.